Many people love eating ice cream during the warmer months of the year, especially during the summer; it’s a great idea particularly when it’s hot outside. But many don’t usually think about it the rest of year when it’s cooler or even during the winter months. 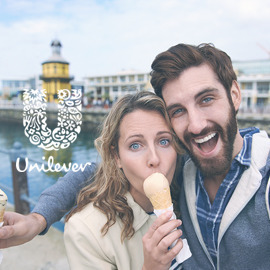 How could your creative and out-of-the-box ideas change people’s behaviors and get them enjoying ice cream all year round? Format: A poster with a visualization of your idea and answers to the three questions, using the template provided. We will be accepting your entries till May 01, 2016 23:59 UTC !